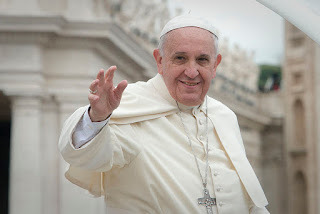 WASHINGTON (The Nil Admirari) - Today, Congressional Republicans announced they were preparing for Pope Francis' Thursday morning address to a joint session of Congress. Party leaders said they had constructed a gold-plated cage for the pontiff to sit in, and collected rotten food for Republicans to throw at Pope Francis when he lectured the GOP on the seriousness of climate change, and how Republicans must stop their attacks on the poor, sick, disabled, veterans, and so many other groups. "If Pope Francis is going to be all uppity about climate change and how Republicans cut benefits for starving kids, the disabled, the poor, veterans, the sick, and a bunch of other groups we clearly don't care about..." stated Speaker of the House John Boehner, who appeared to lose his train of thought and subsequently gulped from a jug Carlo Rossi Chablis. "Wait... What was I just saying?" Boehner suddenly remembered what he was talking about, and added, "Oh yeah, Republicans don't need to be lectured by some holier-than-thou Catholic, even if he is the president of the Catholics. No one tells Republicans to stop not helping, and generally screwing over, the most vulnerable members of our society. Not without sitting in a gold-plated cage and having rotten food thrown at them." The office of loose canon Representative Joe Wilson (R-SC-2) - who grossly violated Congressional decorum in 2009 by yelling (twice) "you lie" at President Obama - announced Wilson would treat Pope Francis "with about the same amount of respect, while throwing rotten food and yelling 'you lie' when appropriate." Congressional Republicans also announced Pat Robertson would give the Southern Baptist response to Pope Francis' speech. Robertson will blame gays for hurricanes and terrorism, say the poor deserve to be poor due to lack of faith and not tithing to him, and tell the sick to send him money "to be healed by the Lord."